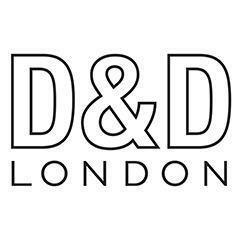 D&D London is a group of diverse restaurants, bars and hotels based principally in London, but also with venues in Paris, New York and Tokyo. It was founded by Des Gunewardena and David Loewi (the eponymous D and D) in 2006, following a buyout of Conran Restaurants. Since then the company has become a vital player in London’s famous restaurant scene, owning some of the capital’s most celebrated restaurants, including Quaglino’s, Le Pont de la Tour, Bluebird and Coq d’Argent. <br><br>We are looking for an enthusiastic Receptionist who can confidently deliver extraordinary and prompt service to our guests. Candidates should have outstanding telephone and presentation skills in order to represent the restaurant as the first point of contact and deliver an unforgettable guest experience. <br><br>You will have a genuine passion for what you do and bags of personality combined with the ability to engage everyone around you and build long-term rapport with both the guests and your colleagues. <br><br>D&D London is a collection of restaurants as individual as you are. Some of the benefits of working for us include: <br><br>•	Substantial career progression<br>•	Personal development and training - including the opportunity to complete the industry-leading D&D Diploma<br>•	28 days holiday that increases with length of service<br>•	Free meals on duty <br>•	40% discount in all D&D London restaurants<br><br>If you are interested in discussing the Receptionist role further, please get in touch with us without delay!